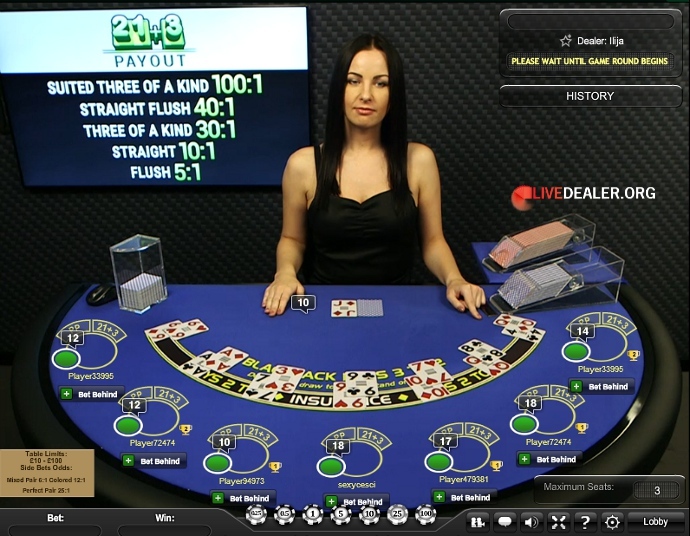 A month of upheaval for Playtech players and dealers alike as old tables closed. Plus roulette with a difference, and a few other pre-Christmas delights and news from November. Well this was a protracted process during November and still ongoing at the beginning of December. 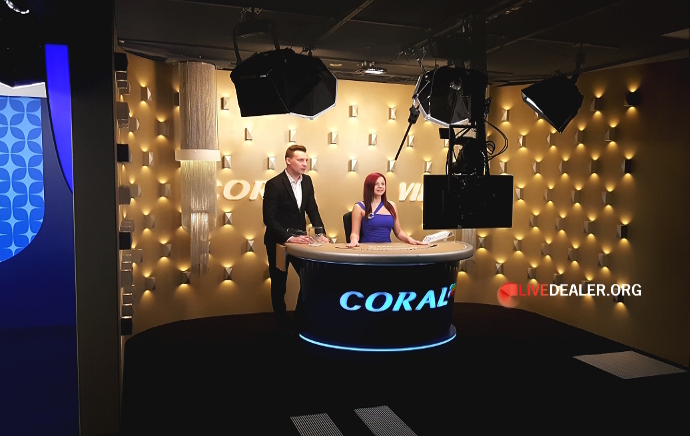 Undoubtedly the highlight of Novemeber should have been the unveiling of Playtech’s new replacement, all-access common live tables from the Riga studio. Unfortunately I couldn’t help but feel underwhelmed, if not slightly disappointed by the arrival of the first of the new tables. Especially when you consider the now closed old studio tables they replaced and what’s available elsewhere. The initial new Lounge tables to open during November consisting of 1 roulette table, 2 baccarat (Mini & traditional 7 seat format) and a few blackjack (regular and unlimited). Aditional blackjack tables, Casino Hold’em, and other gaming tables(Hi-Lo, 3-Card Brag) opened at the very end of the month and into the start of December. Gone are all the classic Roman and Greek table names, though not all the new tables are even referred to as Lounge. The 7 seat Baccarat Lounge table is a direct replacement of the closed Cupid table, even down to the 1-8 seat positions minus seat 4. At least the greenery is new, kind of…..well I’m informed it’s not the same one from behind the old Paddy roulette table, or is it?, you decide. As I’ve said previously, as a rule of thumb I prefer to play at tables that don’t have other tables in sight and I was never a fan of the old studio dreary classic paintings hanging on the wall. So I ought to be satisfied with the new look, slightly more secluded Lounge tables? Well no. The background sound of other Playtech personnel talking, coupled with another roulette table is too distracting at times. Hopefully Playtech will get on top of the noise disruption once all the new tables are up and running. As for the bland geometric white walls, having another table to observe seems preferable now. The Lounge name is indeed perhaps rather apt as somewhere you will pass thorough while you wait for a seat to become available at your preferred blackjack destination. Blackjack Lounge 6 (barring more table number designation changes) is the most distinct, least traditional looking of the tables with its Betfair reminiscent backdrop, but still makes use of the old playing interface. On seeing the first few Lounge tables I couldn’t help but wonder if Playtech’s objective was to provide licensee casinos a very basic looking, functional set of generic common tables. With the aim of encouraging ‘smaller’ casinos to splash out extra coffers for more lavish tables such as Prestige, Liberace Grand Royale or ideally invest extra for private tables. All this may be the stuff of conspiracy theories, but you can’t escape the fact that Playtech claim to have the largest dealer studio and they obviously didn’t acquire the new building with the aim of filling it with all-access player tables. Ever since their opening back in 2015, the Silver blackjack tables at Evolution have steadily increased in number (currently 8 in total) but along the way lost their visual appeal as extra tables were snuck in wherever there was space without the original backdrop wall. With the unveiling of a new Silver table area in November visual uniformity has for the most part been regained, albeit for a couple of tables that remain stranded adrift in the studio like a polar bear on a melting iceberg (aah, so that explains how the bear somehow crept in the title pic). There’s very little silver on display at the new tables but the pleasing table surface colour has been maintained and the new area looks really nice. When you see areas like this it makes rival common table areas such as Playtech’s brand new Lounge tables seem all the poorer in comparison. 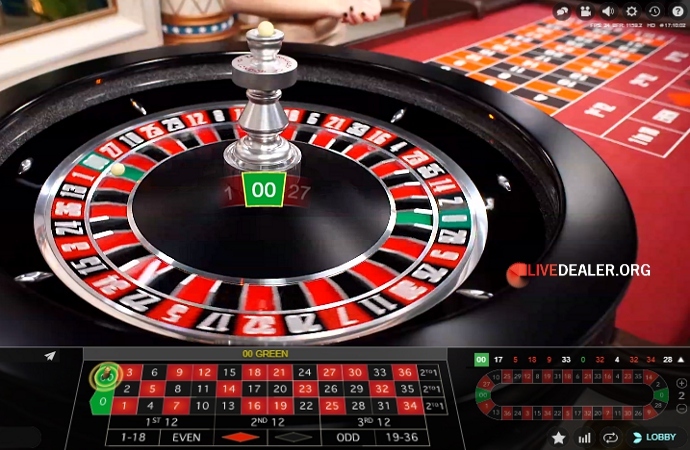 The latest roulette table from Evolution spun into action in November. No not another in-casino land based table, nor another language table. Something a bit more different, with a double twist, but not of the ball kind…..that’s already been done at Evolution. This time it’s double your pain as an extra zero pocket has been introduced to players, American Roulette style. 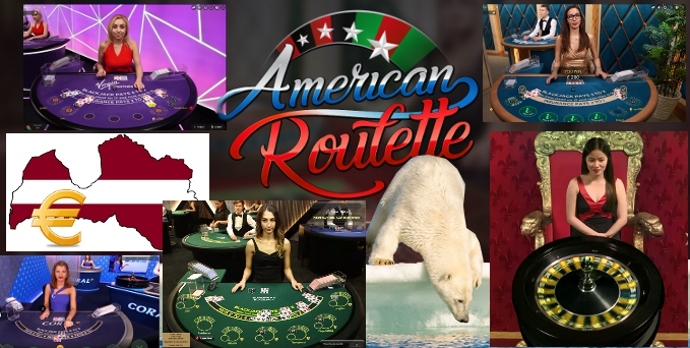 LD’s blog gives you the lowdown on the differences (number order & additional ’00’) between American and European roulette. The most important thing to understand being how the extra green Double Zero pocket impacts on the Return to Player (RTP) 94.74% for American compared with the higher 97.30% figure for European (all the other Evolution tables). If that’s getting too mathematical for you, just remember that there’s an extra pocket on the American wheel, so more chances to lose and increased probability for the casino to win. 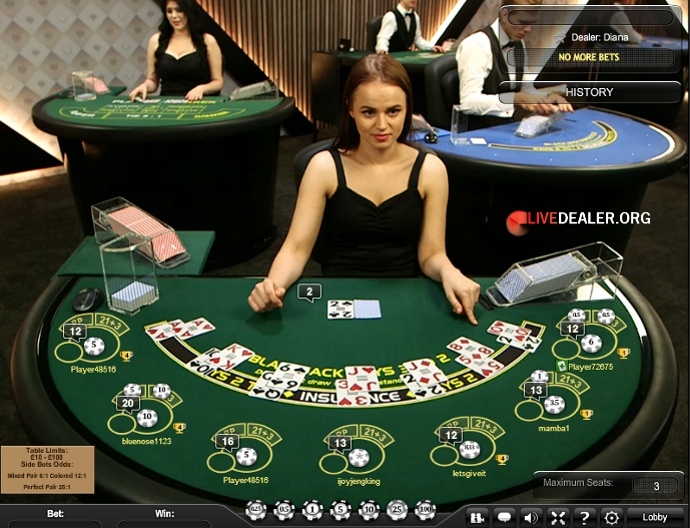 Other visual changes at the table include the dealer standing as opposed to the regular seated roulette position for Evolution dealers. Though as I’ve noted before that’s not a first at Evolution. So the table is all very nice looking with it’s American flavour stars and situated in front of the new Silver tables, but given the lower RTP, you have to ask yourself why would players choose to play at the table?. Obviously players will initially just try the table for the novelty factor, and also there will be players (hopefully only beginners) who don’t appreciate the significance of the extra zero pocket on their chances of winning. Other than that, I’m minded to think that the table will become the de facto low limit live dealer table offered by casinos, with the other dealer tables having a higher minimum bet. 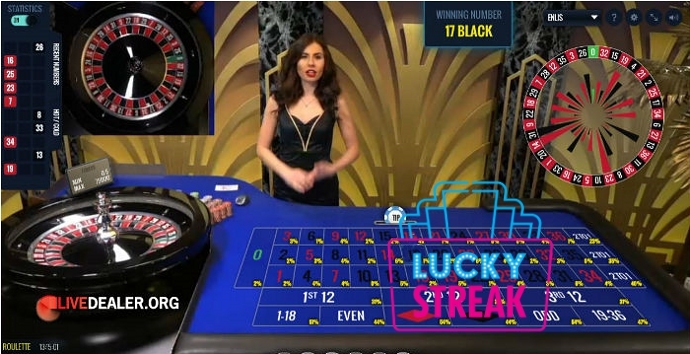 Previously the auto wheel tables from Evolution filled that niche for players wishing to bet low. If you do fancy a change of wheel, but baulk at the thoughts of giving more of your money to the casino, how about betting on yellow instead?. 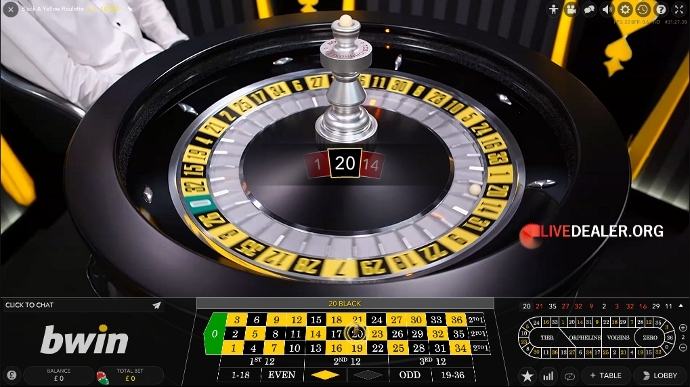 GVC Holdings exclusive Bwin tables now includes an additional roulette table, but with yellow numbers instead of the regular red numbers. Other than the colour change is still the same regular European table in every other way including the all important RTP. The Bwin dealer calls the winning numbers as yellow, but the Evolution interface still displays the results as red ;). 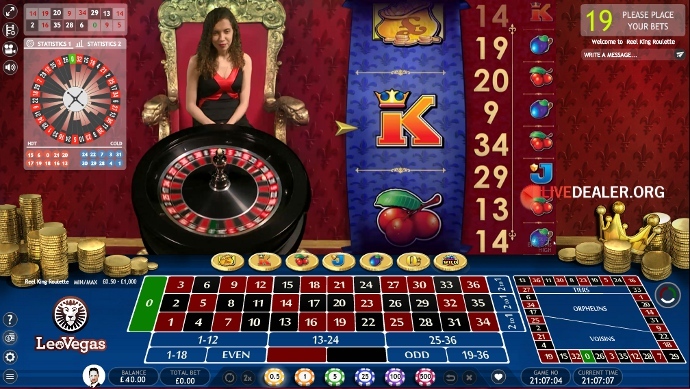 If you can’t get enough of novelty/with a twist/jackpot roulette tables then the Reel King table from Extreme Live Gaming should be to your liking. 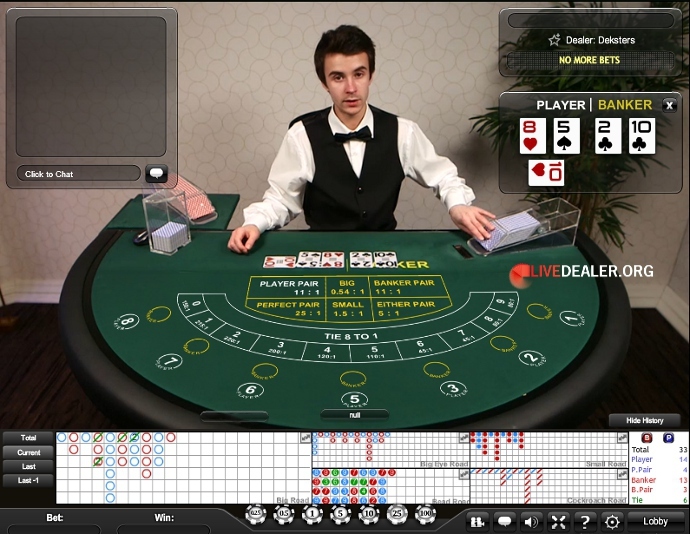 An English speaking dealer sitting on a throne, a European wheel and side bets. What’s not to like? That’s unless like myself you prefer to stay clear of mini games and slots tagged onto live tables. As the casino blurb goes…. The table is available at casinos carrying Extreme tables including Bet Victor, Leo Vegas & Mr Green. With so many dark private table areas around these days it’s nice to come across something more bright and cheerful in the Riga Studios. 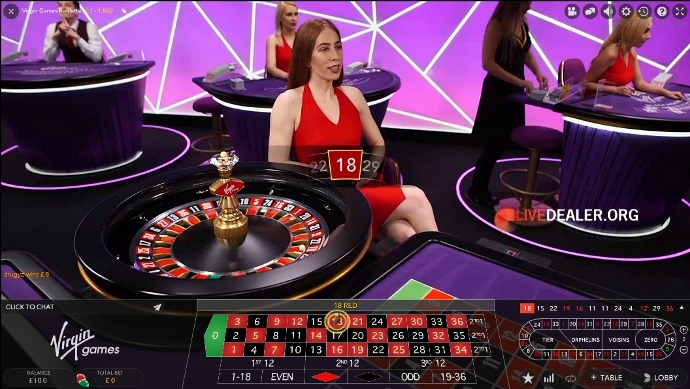 If it wasn’t obvious enough from the pictured private roulette table (or the Richard reference), the Evolution Gaming dedicated area I’m talking of belongs to Gamesys Group owned Virgin Games. 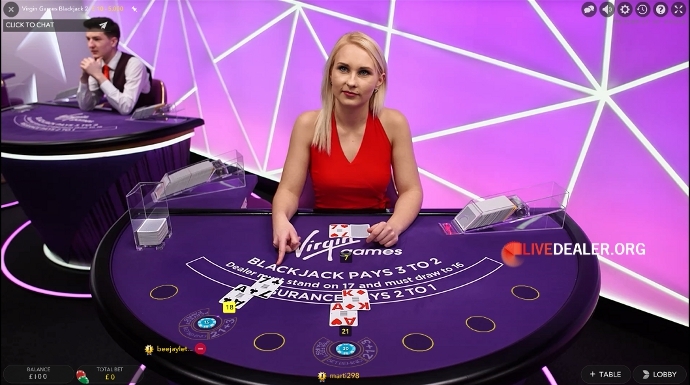 Private tables available in the Virgin Games area consist of 1 roulette and typically 3 blackjack open (extra tables are installed). The simple clean uncluttered look of the area is highly effective and the dealers dresses contrast well with the wall colour. It just goes to show how dedicated casino areas don’t need to be ostentatious or ‘peculiarly naff’ (for lack of other words) to distinguish themselves from the numerous other private and shared table environments. All the more different for not being overly dark or using video screens. Just in case you hadn’t also worked it out yet, this uncomplicated set of tables are most certainly in my shortlist of favourite looking private tables. The absence of background music is a welcome bonus for yours truly and one more reason to play at the Virgin tables. In October news surfaced that the Latvian Parliament intended to introduce a licence fee for live casino services from Latvia. It was later revealed talk was of a fee around the €11,700 mark per live casino table per annum. Evolution Gaming having the most to lose if such a measure were introduced. With several hundred operational tables in their Riga studio this would surely have been a sizeable unwanted hit for Evolution, notwithstanding the €30 million profit Evolution made last year. And one more good reason to press ahead opening new tables in Malta, Romania and so on. For Playtech with far fewer tables in Latvia the situation would have been less unpalatable, but not the best news having opened their world’s largest dealer studio in the Latvian capital with the intention of filling it with common and (wishful?) private tables. This proposed tax on tables now looks abandoned with the Parliament announcing in November that there will be a set licence fee of €400,000 per year for all operators that offer live casino. The set fee approach works out significantly less for Evolution to pay, but obviously a far greater fee than any small operator such as Lucky Streak with only a handful of tables in Latvia were facing. For many years now Evolution and Playtech have competed to retain and lure each other’s dealers. Even resorting to tactics such as phoning ex dealers working at the rival studio. Having “another significant barrier” to the tune of €400,000 dissuading new small operators opening in Riga just made future problems of having your dealers poached by upstart rivals offering higher pay less of a concern. Unlike the situation a few years ago when several dealers I knew who were tempted away from Evolution with the promise of higher salaries and lofty positions such as Pit Bosses at a new studio. 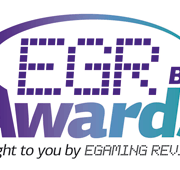 Earlier in the month prior to the licence fee decision announcement, Evolution Latvia a subsidiary of Evolution Gaming was named the fastest growing employer by an annual Latvian awards ceremony (Dienas Bizness TOP 500). Attending the event were government officials including Raimonds Vējonis, the President of Latvia….maybe he had his ear ‘bent’ by some charming Evolution ladies.I guess most players can think of at least one Evolution dealer they would like to have whisper in their ear ;). One comment I heard from an unofficial source regarding the proposed table fee was words to the effect that Evolution Gaming reminded those with the power what a contribution Evolution provided to the Latvian economy in terms of jobs and consumer spending. Currently Evolution has around 3,000 employers in Latvia, around double the number of employers at the start of 2016. Hardly surprising though when you think about how many operational live tables Evolution has from the Riga studio and the number of new tables added in the last couple of years. 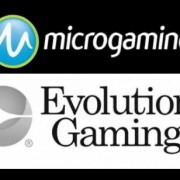 In separate news also before the licence fee decision it was announced that Evolution founders Fredrik Österberg and Jens von Bahr had sold 75% of their shares in Evolution Gaming. Presumably they didn’t merely get the jitters about a possible worst case scenario licence fee based on number of live tables :P.
Extra private blackjack tables are pretty much universally welcomed by players. Although based on the emerging trend from 2017, shared (semi-private) so called ‘exclusive tables‘ increasingly look to be the way forward as casinos increase table capacity while limiting cost. 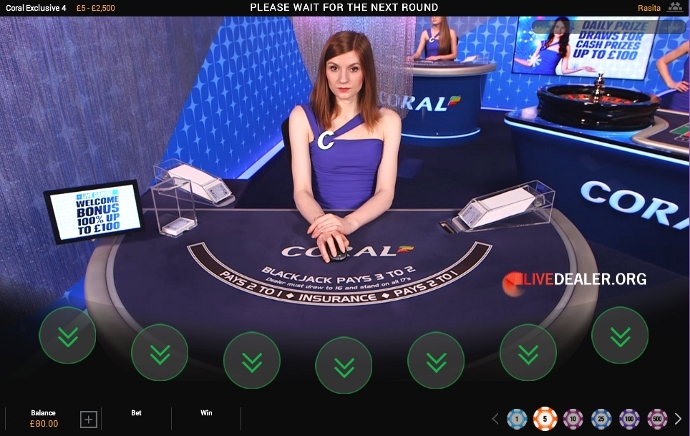 One casino bucking this trend (on a small scale) for the time being is Coral casino who have another private (non-shared) extra blackjack table now in regular use in the Coral dedicated table area at Playtech. Not another Coral table lavished in gold though, there’s already enough gold at the new studio with the general access Liberace Grand Royale tables. Hmmm that’s a thought, maybe the Latvian government should have set a licence fee based on the number of predominantly gold tables a studio has? :P.
Coral’s (sans players) Exclusive 4 blackjack table takes the number of private tables to 6, in no way the biggest dedicated area, but it remains another of my favourite looking table areas. There’s no escaping the fact that it’s December as I finish typing this blog. Already bountiful Christmas promotions are underway at several casinos. If you’ve a packed schedule ahead and don’t look like finding much casino time I recommend at the very least you stop by Evolution’s Dream Catcher sometime over the festive period. Another of those whispers in my ear has it Evolution are planning another spectacle like the recent Halloween one I found so enchanting. 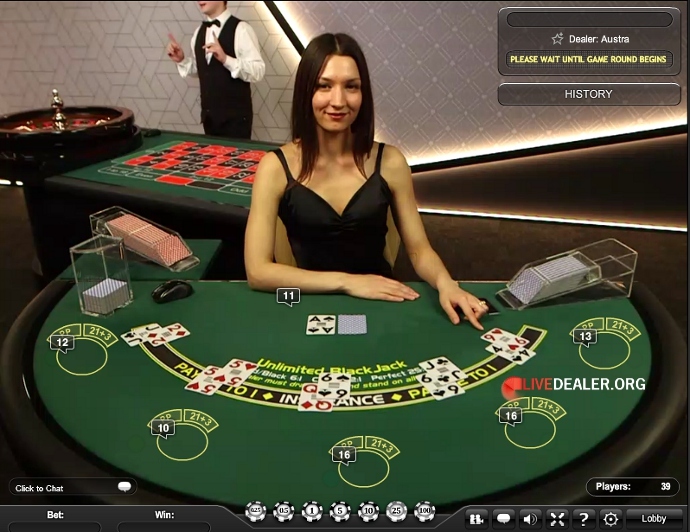 Looking for the fastest live blackjack deal?